Still looking, sounding and feeling like a proper motorcycle should, today’s Bonnie connects you to over 50 years of heritage but is built with everything that comes with modern engineering too. level price. So you can still feel the same ride today as they did way back. Triumph took the most famous name in motorcycling and gave it some extra 60s style.They added some visual tweaks like twin peashooter exhausts, chrome engine covers, black instrument surround with tacho, a Triumph logo on the seat, two-tone paint, spoked wheels and fork gaiters. The two tone paint work complete with hand painted coach lines adorn the T100.The iconic, air-cooled parallel twin sits proudly at the heart of the Bonneville T100. Setting the style for the entire bike. From day one Bonnevilles have been built to be ridden, not just to look good. Today, this 865cc parallel twin puts out a healthy 61PS with 61Nm of torque at its peak, with plenty available at low revs so you get most use out of it. There's nothing temperamental or over-demanding about the engine either, making the Bonneville T100 an ideal daily commuter – all be it an inspiring, stunning, timeless, iconic, famous, daily commuter. What we did was combine our heritage with the latest motorcycle technology to give you the famous Bonneville ride every single day. We’ve built a traditional style tubular steel cradle design and included the engine as an integral component for a stiffer, stronger chassis and more precise ride. Combining classic looks with modern engineering so that you get iconic Bonneville riding characteristics and modern handling. 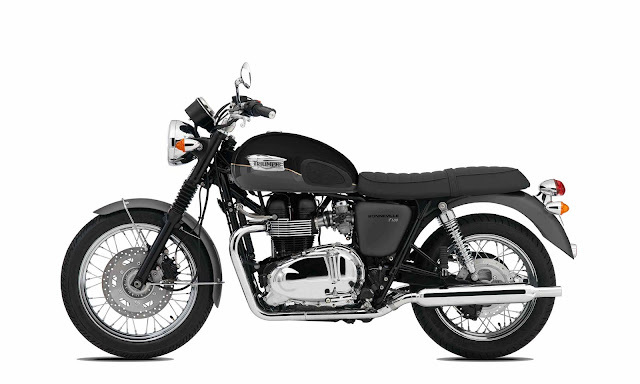 Like all modern Bonnevilles, the T100 is a bike for riders new to big bikes and also those riders who are into classic styling. The long flat seat suits riders of all heights and we’ve laid out the bars and footrests to create plenty of space so you won’t feel cramped even on a long ride out. 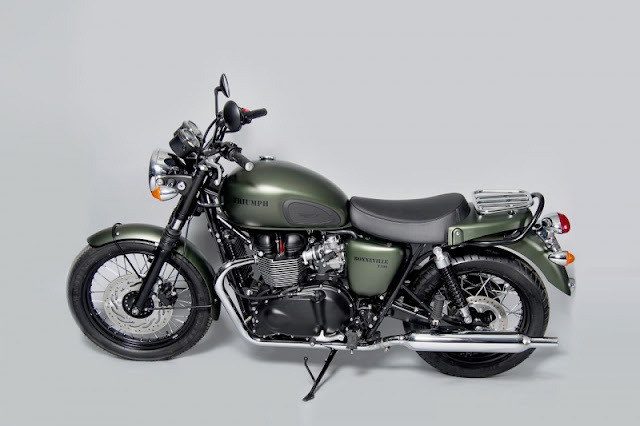 It’s all put together so that you feel natural and in firm, confident control around town, at speed on a motorway or feeling the thrill of your Bonneville T100 along a sinuous back road. A seat height of just 775mm is the best way to get the classic, natural Bonneville riding position. So that’s the height we set it at.